Wildlife Discovery Day – BioBlitz 2017 Success! 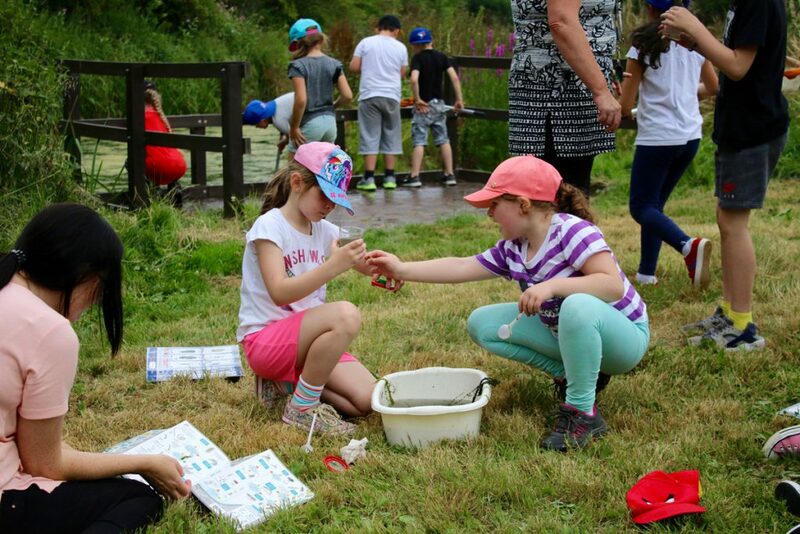 Kingsbury Water Park’s, Community Wetland is teaming with wildlife after 612 species were recorded throughout a 24 hour BioBlitz, hosted by the Tame Valley Wetlands Landscape Partnership Scheme (TVWLPS). The Wildlife Discovery Day took place on 7/8 July’17, welcoming 78 primary school children from Kingsbury village, a variety of species experts, Rangers from the County Council and the Environment Agency. Members of the public also entered into the fun, through a range of activities, such as walks, talks and demonstrations, all for free! The goal for the 24 hour period was to record 300 different species, including mammals, birds, insects, amphibians, plants, trees and fish, in the 6 hectare Community Wetland area at the Country Park, restored and improved by the TVWLPS with the help of local volunteers and thanks to funding from the Heritage Lottery Fund, Biffa Award, Environment Agency and The Howard Victor Skan Charitable Trust. This goal was ‘blown out of the water’ with records doubling expectations, thanks to the commitment of everyone involved and the restoration work undertaken on site. All the records discovered make a huge impact on the data for the area, helping experts from the Warwickshire Biological Record Centre determine the biodiversity value in the area, keeping an eye on endangered and rarer species at the same time. It’s easy and you don’t need to be an expert! Download a wildlife recording app for on-the-go, or collect the data on a form and send it to your local wildlife record centre or Wildlife Trust. You can contribute to wildlife recording in the Tame Valley by submitting your sightings on the TVW iSpot page. Would you like to know more about what a BioBlitz is? Click here! This entry was posted in Blog, Events, Latest News, News, Project updates, Projects, youth on 19th July 2017 by Ian Wykes.